The coffee is great, the panini are delicious but let’s be honest, the very best thing about Coffee Barker is the abundance of massive comfy sofas. The obvious place to stop as a part of your day long shopping mission. Check our Barker Tea House if you fancy a change from your usual espresso or Gin & Juice, also part of the Barker family, for all your G&T requirements. 200 degrees sounds pretty hot to me but those in the know tell me that this relatively low roasting temperature is what gives the coffees from this Queen Street shop their unique, and delicious, flavour. All of their syrups are homemade and they sell a Nitro Cold Brew, proper coffee nerd stuff. Check out their A Board for an Instagram worthy moment as well. According to Twitter this is a favourite haunt of Cardiff foodie/travel blogger Pip And The City So we’re already on to a winner. A Gift Card FOR Cardiff is accepted in their Cardiff and Vale College branch meaning students get access to coffee that tastes like coffee should taste instead of the unappealing machine brewed nonsense from back in ‘my day’. Proper coffee might still seem like a recent development in the UK but don’t let that fool you – head upstairs from the famous deli and you’ll find all manner of coffee delights and perhaps a history lesson too – visit their website to find out about how Austrians mistook coffee beans for camel feed in the days before the Kaffehaus. This list is far from exhaustive so make sure you check the where to spend page for the complete lowdown & if your favourite caffeine hot spot is missing from the list why not let your barista know. If they’re in indie in the city centre we would be more than happy to have them! Have you recently upset the coffee lover in your life with a luke-warm mug of decaf Nescafe? 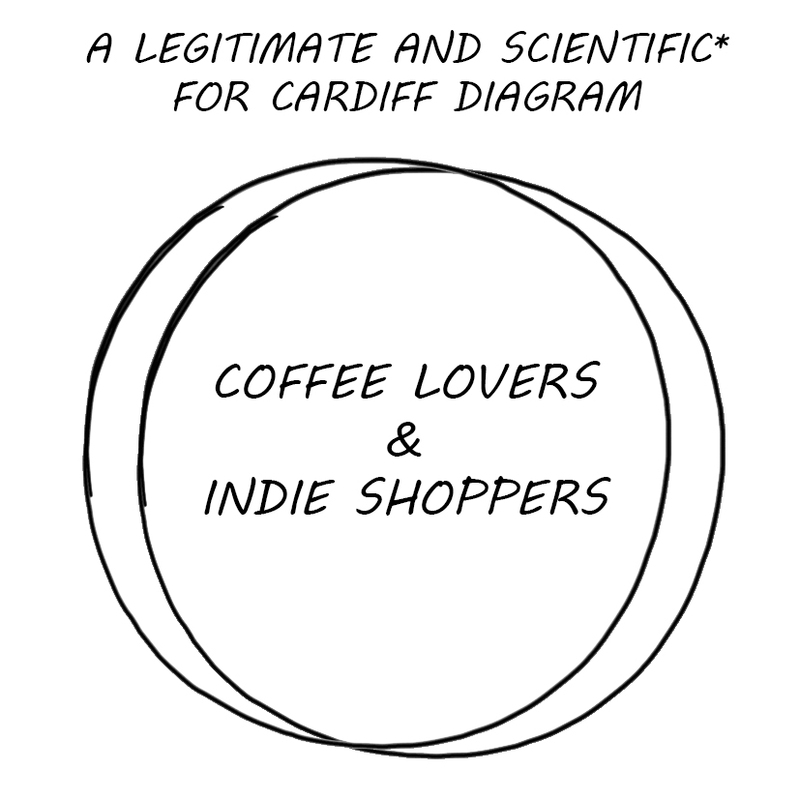 Stick £10 on A Gift Card FOR Cardiff and let them have some proper posh coffee.